Tired of shelling out for floors that can’t keep up with your busy lifestyle? Discover durable, cost-effective flooring options at Buddy's Flooring America. Our professionals have years of experience matching homeowners with flooring solutions that best suit their needs. If you are considering laminate flooring in Miamisburg, OH, visit us first. 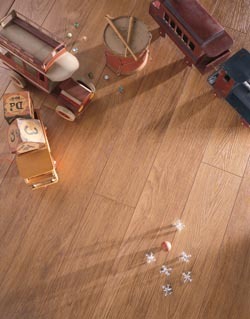 Our beautiful laminate floors come in a variety in styles, making it easier to find exactly what you are looking for. Many of our shoppers love that they can bring home the distinctive look of hardwood flooring with our wood laminate floors, while others prefer our stone-look laminate. Whatever your personal style may be, our showroom can help you find floors that match it. Depend on our flooring team to help you find the perfect new floors for your home. Laminate floors are extremely durable and scratch-resistant, allowing them to last for years with minimal maintenance. These floors have a wear layer that prevents daily wear from detracting from their beauty. In addition, a protective clear moisture barrier can be applied so your floors are easy to clean and can endure high-moisture areas like bathrooms and kitchens. Visit our showroom today to start exploring our flooring products. When you stop by, our friendly and knowledgeable team will be ready to assist you as you sort through your options. We ask relevant questions based on your budget and personal style, and may suggest laminate as your best choice. Many people immediately discount laminate as an option. However, after seeing how beautiful the grains on wood-look laminate flooring can be, or the myriad colors of stone-look laminate tile flooring, they realize just how much this unique flooring choice can do for their homes -- as well as their budgets. Laminate can be an extremely cost-effective option, but that does not detract from the material’s quality and beauty. And when you turn to our showroom, you’ll get the best of both aesthetic appeal and durability -- you never have to choose between them. Enjoy constant guidance and support throughout the entire shopping and installation process - it’s easy when you work with Buddy's Flooring America. Our staff not only helps you pick out the perfect laminate floors for your home or business, they also connect you with contractors that are experienced in installation. In fact, we guarantee their work for a lifetime. Contact us or visit our showroom to start exploring our laminate flooring products. We proudly serve residents of West Carrollton, Germantown, and Miamisburg, Ohio, as well as those in Franklin, Springboro, Centerville, and Oakwood.